This is "Hoss" he was born on February 2. He was three (3) days old in this photo. 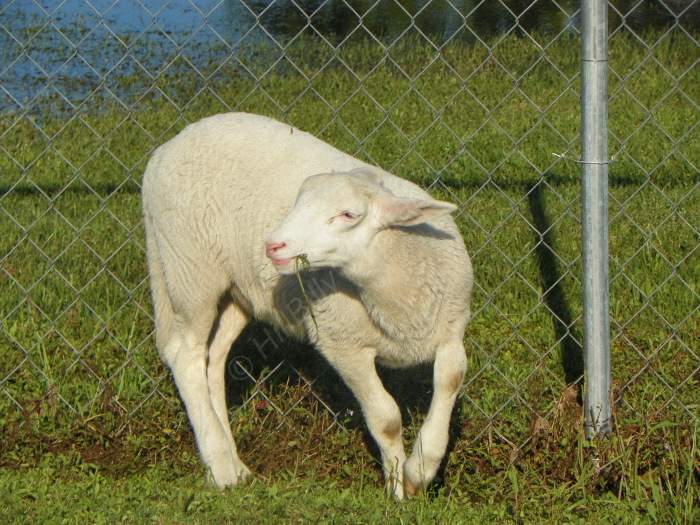 He is completely white and he is one big, solid ram lamb. 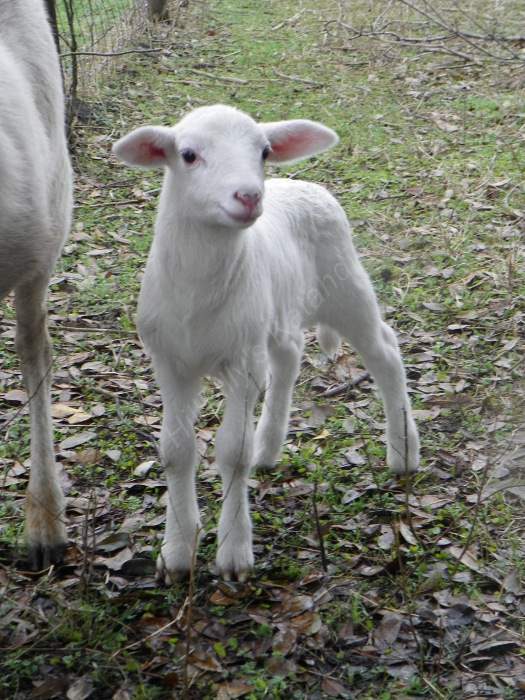 He has an advantage because he is a single and he is now bigger than the other lambs that are 3 weeks older. I am just amazed at how quickly all the lambs are growing. The below photo was taken March 29, so Hoss isn't even two months old yet! Look at how big he is now. Are you human? Please answer the below question before clicking. 13+2 = The captcha value you provided is incorrect.